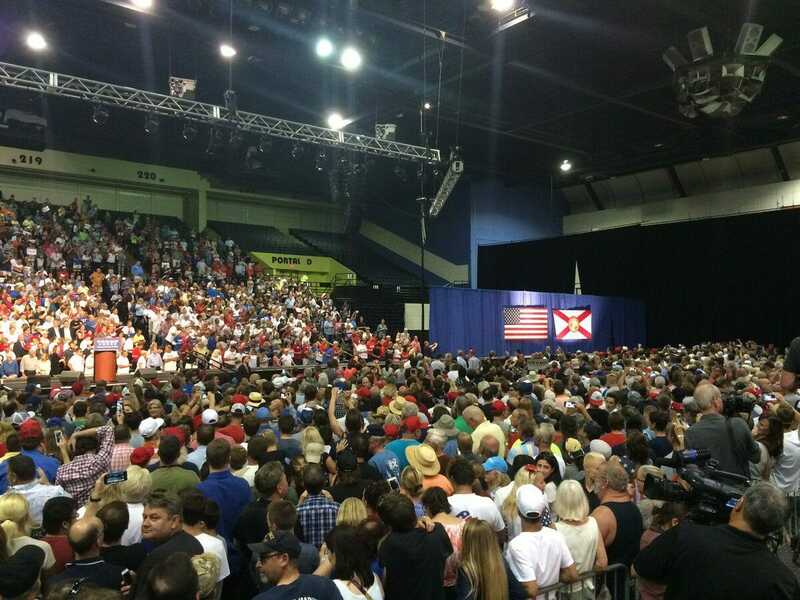 On Wednesday Donald Trump held two rallies in Florida drawing thousands and thousands of enthusiastic supporters. The lines to get into his Daytona event were at least a half mile long. On the flip side — Hillary Clinton struggles to fill high school gymnasiums. Today Hillary Clinton will hold a rally in a small box in Las Vegas. She is hoping to fill this small local union hall. If we had a media that was not so full of hateful dishonest liberals this might have been a story. UPDATE: She can’t even fill up a union hall!